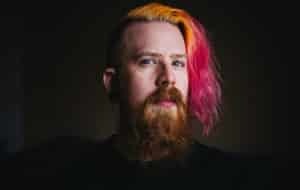 Adam Koebel is the co-creator of the award-winning tabletop role-playing game Dungeon World, and a fixture in the world of live RPG play on Twitch and Youtube. As the head GM of the RollPlay family of shows and the GM-in-residence for Roll20.net Adam has crafted hundreds of hours of science fiction and fantasy adventure on shows like Nebula Jazz, Far Verona, Court of Swords, the Burning Wheel and Tomb of Annihilation. Found weekly dispensing advice on Office Hours and Hot for Teacher, Adam shares his knowledge with the world. Residing in Vancouver, British Columbia Adam can be most often be found eating ramen and taking photographs.